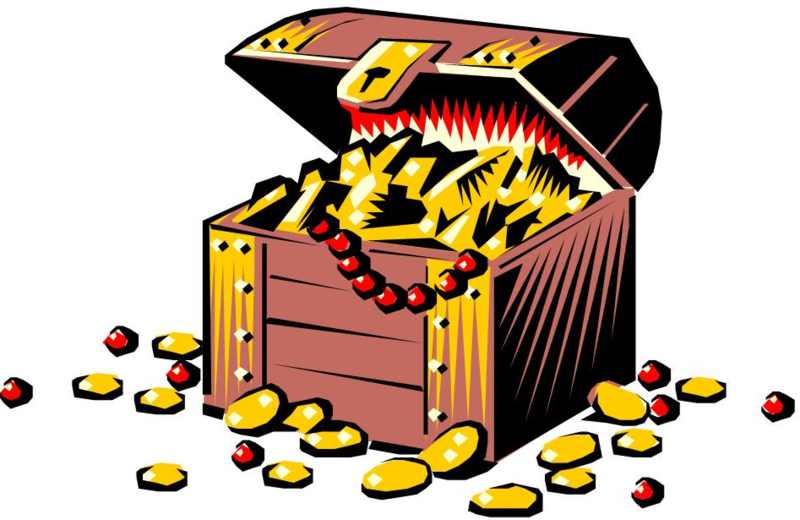 Treasure is shiny and valuable stuff that is usually found in treasure chests. Pirates have been burying treasure since the beginning of time itself, while treasure hunters armed with straws have in turn hunted it. Anthropologists have yet to determine what sort of benefits the pirates themselves are supposed to derive from this strange activity; although some suggest it is a form of altruism intended for the funding of future generations of anthropological studies. Since all pirates are highly skilled in the scientific art of cartography, the location of every treasure chest is meticulously mapped via global positioning satellites and posted to alt.pirates.treasure.buried.yarrr for the benefit of amateur treasure seekers. 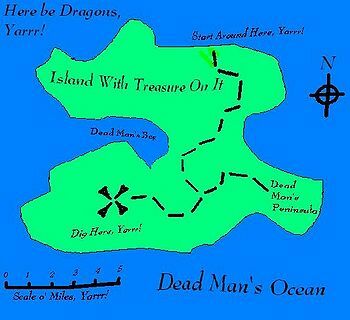 Every valid treasure map must contain (at minimum) the following elements: dashed lines forming a path to follow, scary names for land and sea features, and a big stylized X to indicate the location of the treasure. This page was last edited on 11 September 2012, at 03:17.